Our ChildFund ambassadors stole the show at the Camogie All Stars 2016 Awards n Dublin last Saturday night. 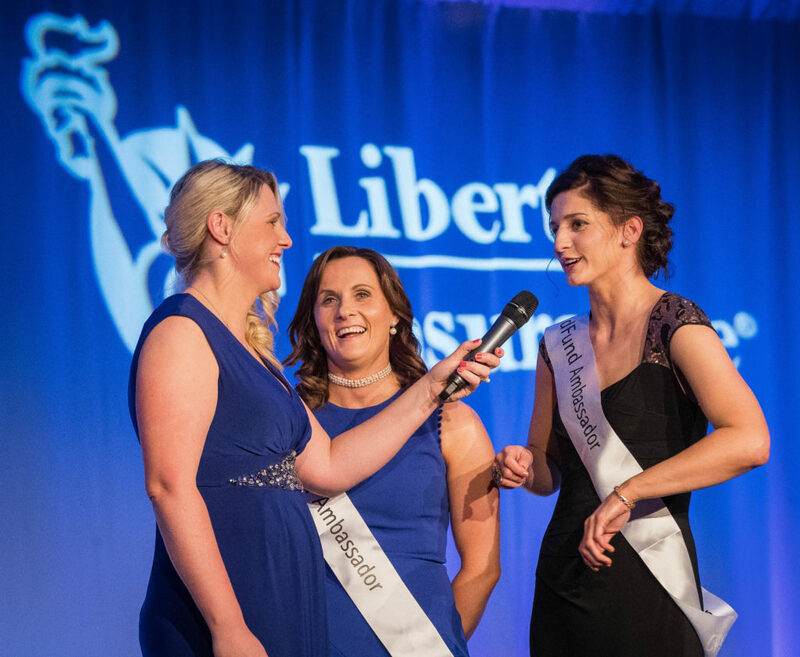 The City West Hotel is Dublin was the venue last Saturday night for the most glamorous night in the Camogie calendar, the 2016 Camogie All Stars award show. Some 600 guests assembled at the black tie function to pay tribute to outstanding performers in camogie this last year. ChildFund ambassador Sarah Dervan from Galway was the recipient of a staggering fourth All Star award, in successive years, demonstrating her excellence on the field and just how highly she is regarded by her peers. 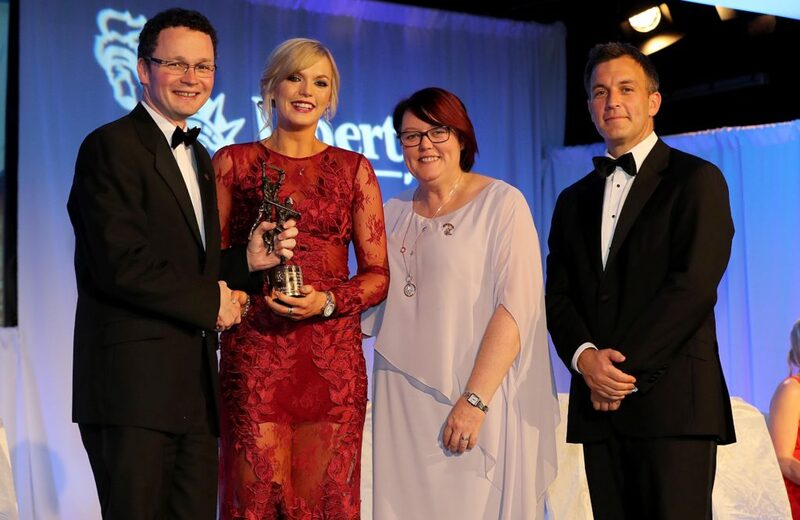 Minister for Sport and Tourism Patrick O’Donovan TD was on hand to present Sarah with her richly merited award. ChildFund would like to extend a hearty congratulations to Sarah and applaud her for this hugely impressive achievement. Also in contention on the night where Aoife Murray and Mags D’Arcy, both nominated in the goalkeeping category. Although neither ambassador managed to add to their long and distinguished list of All Star achievements, they did have another very important mission to fulfil. Earlier in the night Aoife and Mags were invited up on stage by Co-Host Jackie Hurley and interviewed about their roles as ambassadors with ChildFund Ireland. As Aoife and Mags recounted their memorable visit to Ethiopia this last April, to witness our work on the ground, a selection of images from the trip where displayed on the big screens. Aoife and Mags explained to the 600 or so assembled guests just why ChildFund and Camogie make such an ideal fit, with both organisations very much committed to grassroots community growth. Mags spoke about the extraordinary feeling she had while witnessing young Ethiopian girls picking up the hurl and using it like they had been playing Camogie all their lives. Aoife spoke about how the trip impacted on her decision to come out of retirement for Cork. ChildFund would like to sincerely thank the many guests who dug deep and made a donation on the night. We would encourage you to get involved in supporting our work for children in the developing world, at a local and club level, and empower us to help as many children as we can.